Whether you need roof repairs or a new roof, it’s important to select the right contractor for the job. When you talk to the people at different roofing companies in Dunwoody, you may feel overwhelmed with your options. How do you know which one to pick? Here are some tips on selecting the best one to work with. Working on the roof isn’t a DIY project. Any roofing contractor who climbs on your roof should be properly licensed to do the job. This ensures that they have the experience and knowledge that’s required. Licensing is usually handled by the city or county. 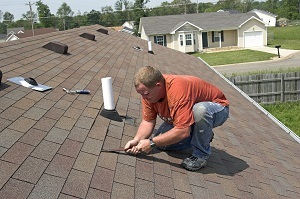 Most roofing contractors are only licensed where their business is located. Insurance is just as important as licensing. Your contractor should have liability and worker’s compensation insurance. Liability insurance protects you and the roofing company in case there is property damage as a result of their work. Worker’s comp is necessary to pay for medical expenses if someone gets injured on the job. There are many different review sites for contractors of all types. Some companies garner reviews on social media, others stick to agencies like the Better Business Bureau. It’s important to take your time to find out what other people are saying about the company. If they’ve been in business for a while, there will be reviews. If you can’t locate any online, you can always ask the roofing company to provide you with customer testimonials or references. This requires just a little more legwork on your part, especially if you decide to talk to some of their previous customers on the phone. You’re looking for a roofer who performs quality work. Most reputable roofing companies offer a warranty for the work they’ve done, even for roofing repairs. It’s important to read the fine print to find out what the warranty covers. Ideally, it should cover parts and labor costs. Of course, the warranty may not apply if your roof was damaged during a storm. In that case, your homeowner’s insurance should protect you. Paying for roofing repairs or a new roof is a large expense. That’s why it makes sense to research your options to ensure you have found the right contractor. You can ask friends and family for referrals, too. 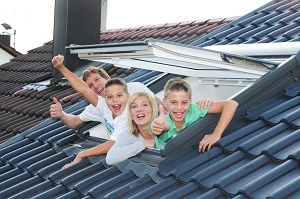 You’re probably not the only one in your area who needs the help of a roofing company. Once you have identified a couple of contractors, it’s time to collect bids. Most people recommend getting at least 3 different quotes for this type of project. More quotes are probably not necessary because they can become overwhelming. It’s up to you to compare the bids with each other. If one of them is substantially different, it makes sense to verify why. It may be that this contractor is using inferior roofing materials or will charge you more when all is said and done.